Do mobile health applications improve health among the diabetic population, over a time period of 2 years, when compared to usual care? Key search terms such as, ‘diabetes’, ‘Project management’, ‘prevention’, ‘mobile’, ‘health’, ‘smart-phone, ‘mHealth’ were fed into two electronic databases namely, CINAHL and PubMed. The phrases were combined with Boolean operators ‘AND’ and ‘OR’ that helped in either narrowing or broadening the search results. Using filters helped in extraction of articles that were published on or after 2013, in English language (McGowan et al., 2016). 5 relevant articles were retrieved from the databases. Evaluation of research- The article selected for evaluation elaborated on the effectiveness of ‘DialBetics’, a smart-phone based diabetes self-management system, implemented across patients in Japan. The research design was an experimental one that was grounded on randomisation of participants in two different groups, for 3 months. Moreover, conduction of an RCT also helped in concluding whether one form of treatment was superior to the other. 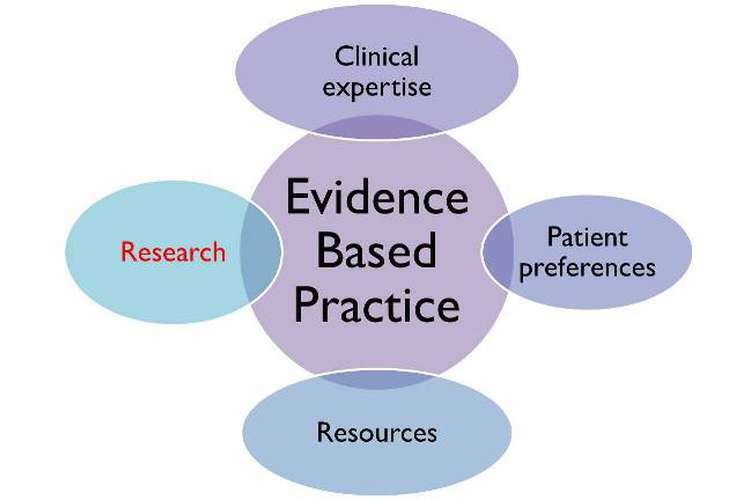 The research paradigm was based on positivism where the researchers derived conclusions regarding effectiveness of the intervention through their logic and reason (Antwi & Hamza, 2015). Allocation of the participants after obtaining their informed consent was followed by exposure of those in the intervention group to the four models of the ‘DialBetics’ program. Effectiveness of the study findings can be elaborated by the significant decline and fasting blood sugar (5.5 mg/dl) and HbA1c (0.4%), in the intervention group, when compared to the non-DialBetics group. The researchers had followed the ethical norms, since they had obtained in approval from the Institutional Review Board and also allowed the participants to give their voluntary consent, before they were subjected to the intervention (Kim & Miller, 2015). Furthermore, allowing the participants to try the smart-phone based program for 2 weeks before the final study also clarified all ethical grounds (Waki et al., 2014). Research topic- Chronic diseases refer to conditions of human health that are long lasting or persistent and the effects commonly exist in a person for more than 3 months (Kennedy et al., 2014). Some of the major chronic diseases that have been identified by the Australian Institute of Health and Welfare include cardiovascular disease, cancer, asthma, chronic respiratory disease, diabetes, musculoskeletal conditions, healthcare system, mental disease, and endometriosis, among others (Australian Government, 2017). The research topic of the assignment is in accordance to the National Strategic Framework for chronic conditions, since the framework takes into consideration the ever increasing rates of chronic conditions in the Australian population, due to alterations in the lifestyle. The research question that focuses on determining the effectiveness of mobile health applications on improving diabetes among people is essential for the management of chronic disease since it focuses on the use of mobile devices that have created new ways of communication between patients and healthcare service providers (Weinstein et al., 2014). The research topic is focused on improving health outcomes among people suffering from the identified chronic conditions, with the usage of mobile communication tools has been found to facilitate greater engagement of patients. This in turn elaborates on better focusing on improvement of Health and Wellness (Silva et al., 2015). Use of the smart-phone based diabetes management and prevention applications will help the patients to stick to a regimen that comprises of diet recommended by physician, exercise, routine and other lifestyle modifications, besides adherence to medication program (Steinhubl, Muse & Topol, 2015). Furthermore, the National Strategic Framework has also identified certain priority areas such as, the Aboriginal and Torres Strait islander, people residing in rural and remote regions, those belonging to poor socio-economic sections of the society and diverse linguistic and cultural backgrounds (Australian Government, 2017). This population usually faces disparities in their health outcome, due to lack of exercise to proper healthcare resources and facilities. However, determination of effectiveness of mobile based applications will largely help a major section of this priority population to participate in self-management of their chronic health condition, thereby improving their wellbeing and overall health related quality of life. Literature review- Results presented in the article by (Waki et al., 2014) suggested that monitoring health data of people who are remotely located helps in the engagement of nursing professional with their patients in a real-time setting and also facilitates providing necessary guidance for self-managing different chronic diseases. The results found in the study supported that the mobile health application was able to bring about an improvement in the HbA1c levels over a period of 3 months. This intervention time period was quite less however enhancement in the health and well being suggested the efficacy of mobile health Technologies that nursing professional scan used for managing their patients. Therefore, the results indicated that all healthcare professionals, specifically the nursing staff can make comfortable use of this equipment while providing care to their service users and those smart-phone based applications can be easily incorporated into nursing practice. Efficacy of mobile phone messaging for prevention of type 2 diabetes was also elucidated in another primary research. Working men having been diagnosed with impaired tolerance of glucose were randomly assigned to an intervention and control group, with the former receiving mobile phone messaging services. Upon assessing the health outcomes of the patients it was found that only 18% of the participants present in the intervention group had developed diabetes, in comparison to 27% in the control group (Ramachandran et al., 2013). Thus, mobile messaging applications that constantly remind people about dietary adherence, healthy lifestyle principles, physical activity and maintenance of body weight could be adopted in nursing practice to reduce security of diabetes among patients whom the nurse is considered to be at a high risk. Another primary research was conducted with the aim of evaluating effectiveness of easily accessible smart-phone applications in combination with text messaging feedback from diabetes educators on the improvement of glycemic index in adult patients with Type 1 Diabetes. The patients were randomised to the intervention and control group for six monts, followed by a 3 month follow-up period. Findings from the study suggested that patients recruited to the intervention group demonstrated significant improvement send their glycemic control, when compared to the baseline values. Presence of significantly high baseline HbA1c in the intervention group, in comparison to the control group was also accompanied by reports of a healthier diet in the former group (Kirwan et al., 2013). Similar findings were also reported in another study where “Diabetes Interactive Diary” (DID) Telemedicine application was found to reduce the HbA1c levels in the intervention group, followed by a subsequent 86% lesson risks of great to hypoglycemia (Rossi et al., 2013). The Diabeo software based smart-phone application also reported parallel results where it brought about substantial improvement in metabolic control of diabetes in patients, who had used the software (Charpentier et al., 2011). Hence, such smart-phone applications and messaging services can be easily used by nursing professionals in order to increase their engagement with their patients. Nurses will be able to provide regular feedback on the blood glucose levels, dietary patterns, and insulin administration to the patients. Such mobile health applications would also improve communication between the service user and the carer, thereby creating the provision of asking and clarifying all diabetes related questions (Torous et al., 2018). Nursing professionals can also provide educational tips and positively reinforce the patients for self-management of the chronic condition, which in turn would empower them and help them in living a healthy life. Additional benefits of such intervention in nursing practice can be associated with their low cost. The applications and messaging services have negligible costs, which can be easily installed in the mobile phones of all nursing professionals and patients, who are being provided the necessary care (Singh et al., 2016). Therefore, in addition to usual diabetes treatment, the application of such smart-phone based technologies, combined with regular feedback from nursing professionals will effectively help in bringing about noteworthy decrease in blood glucose levels, among the high priority population. Effective dissemination of research findings refers to the process of distributing the results of research to individuals, who can make use of them with the aim of maximizing the research benefits, without further delay. Hence, the primary findings of this research that mobile based health applications, when implemented by nursing professionals can help in controlling the blood glucose levels among their patients should be disseminated among different individuals. The core principle of this dissemination would focus on stakeholder engagement and utilising appropriate opportunities. The primary audience that comprises of nursing staff should be engaged early throughout the project, involving them from the first steps of planning to the implementation (El Demellawy, Zaman & Hannes, 2017). Obtaining inputs from the nursing professionals and other secondary audience will also help in formulating a better plan for increasing their awareness on the use of this intervention. Building efficient partnerships with already established networks, making use of infographics, and press releases will also help in the same. Podcasts, blogs, and social media might also prove beneficial in increasing the reach of the human research findings among the nurses, clinicians, charities, and patients, who might gain direct benefit from the research (Mulvaney-Day, Leroy & Anise, 2016). Recommendations- Future research should leverage on the progress and advancement of the ubiquitous nature of the software based applications, in order to make them accessible to all nursing professionals and patients who form the core of the study. Future studies should also evaluate the extent to which the social determinants of health might play a role in increasing or decreasing compliance of the patients to the diabetes self-management applications that are recommended or prescribed by the nurses. There is a need to conduct supplementary research in order to gain an understanding on the effect of such applications on the therapeutic nurse-patient relationship. Conducting a systematic review of evidence related to this area is crucial for reviewing and identifying the direct benefits that nursing professionals gain with the implementation of such applications, in relation to their stress, burnout or work pressure, while managing diabetic patients. There is also a need to conduct a cohort study in order to determine the prevalence and incidence of the chronic disease (diabetes) in Australia, before and after the implementation of the novel health-based mobile applications. This will directly prove beneficial in terms of health and welfare of the entire nation, and the subsequent cost-effectiveness can also be measured. 1.Antwi, S. K., & Hamza, K. (2015). Qualitative and quantitative research paradigms in business research: A philosophical reflection. European Journal of Business and Management, 7(3), 217-225. 2.Australian Government. (2017). National Strategic Framework for Chronic Conditions. Retrieved from http://www.health.gov.au/internet/main/publishing.nsf/content/A0F1B6D61796CF3DCA257E4D001AD4C4/$File/National%20Strategic%20Framework%20for%20Chronic%20Conditions.pdf. 3.Charpentier, G., Benhamou, P. Y., Dardari, D., Clergeot, A., Franc, S., Schaepelynck-Belicar, P., ... & Bosson, J. L. (2011). The Diabeo software enabling individualized insulin dose adjustments combined with telemedicine support improves HbA1c in poorly controlled type 1 diabetic patients: a 6-month, randomized, open-label, parallel-group, multicenter trial (TeleDiab 1 Study). Diabetes care, 34(3), 533-539. 4.El Demellawy, H., Zaman, B., & Hannes, K. (2017). An exploration of the potential of progressive dissemination formats of research findings. ECQI 2017 PROCEEDINGS, 2017, 208. 5.Hastings, C., & Fisher, C. A. (2014). Searching for proof: Creating and using an actionable PICO question. Nursing management, 45(8), 9-12. 6.Kennedy, B. K., Berger, S. L., Brunet, A., Campisi, J., Cuervo, A. M., Epel, E. S., ... & Rando, T. A. (2014). Geroscience: linking aging to chronic disease. Cell, 159(4), 709-713. 7.Kim, S. Y., & Miller, F. G. (2015). Informed consent for pragmatic trials: the integrated consent Model. 8.Kirwan, M., Vandelanotte, C., Fenning, A., & Duncan, M. J. (2013). Diabetes self-management smartphone application for adults with type 1 diabetes: randomized controlled trial. Journal of medical Internet research, 15(11). 9.McGowan, J., Sampson, M., Salzwedel, D. M., Cogo, E., Foerster, V., & Lefebvre, C. (2016). PRESS peer review of electronic search strategies: 2015 guideline statement. Journal of clinical epidemiology, 75, 40-46. 10.Mulvaney-Day, N., Leroy, L., & Anise, A. (2016, January). Evaluating Research Networks: Using Qualitative Methods to Identify Collaborative Processes that Lead to Dissemination and Use of Research findings. In INTERNATIONAL JOURNAL OF QUALITATIVE METHODS(Vol. 15, No. 1). 2455 TELLER RD, THOUSAND OAKS, CA 91320 USA: SAGE PUBLICATIONS INC.
11.Ramachandran, A., Snehalatha, C., Ram, J., Selvam, S., Simon, M., Nanditha, A., ... & Oliver, N. (2013). Effectiveness of mobile phone messaging in prevention of type 2 diabetes by lifestyle modification in men in India: a prospective, parallel-group, randomised controlled trial. The Lancet Diabetes & Endocrinology, 1(3), 191-198. 12.Rossi, M. C., Nicolucci, A., Lucisano, G., Pellegrini, F., Di Bartolo, P., Miselli, V., ... & Vespasiani, on behalf of the DID Study Group, G. (2013). Impact of the “Diabetes Interactive Diary” telemedicine system on metabolic control, risk of hypoglycemia, and quality of life: a randomized clinical trial in type 1 diabetes. Diabetes technology & therapeutics, 15(8), 670-679. 13.Silva, B. M., Rodrigues, J. J., de la Torre Díez, I., López-Coronado, M., & Saleem, K. (2015). Mobile-health: A review of current state in 2015. Journal of biomedical informatics, 56, 265-272. 14.Singh, K., Drouin, K., Newmark, L. P., Rozenblum, R., Lee, J., Landman, A., ... & Bates, D. W. (2016). Developing a framework for evaluating the patient engagement, quality, and safety of mobile health applications. Issue Brief (Commonw Fund), 5(1), 11. 15.Steinhubl, S. R., Muse, E. D., & Topol, E. J. (2015). The emerging field of mobile health. Science translational medicine, 7(283), 283rv3-283rv3. 16.Torous, J., Nicholas, J., Larsen, M. E., Firth, J., & Christensen, H. (2018). Clinical review of user engagement with mental health smartphone apps: evidence, theory and improvements. Evidence-based mental health, 21(3), 116-119. 17.Waki, K., Fujita, H., Uchimura, Y., Omae, K., Aramaki, E., Kato, S., ... & Ohe, K. (2014). DialBetics: a novel smartphone-based self-management support system for type 2 diabetes patients. Journal of diabetes science and technology, 8(2), 209-215. 18.Weinstein, R. S., Lopez, A. M., Joseph, B. A., Erps, K. A., Holcomb, M., Barker, G. P., & Krupinski, E. A. (2014). Telemedicine, telehealth, and mobile health applications that work: opportunities and barriers. The American journal of medicine, 127(3), 183-187.